New and innovative products from ordinary objects are being conceived and produced all the time, but what about new ideas for already-familiar materials?What would it take to get you to see a well-known building material in a new light?Some designers are doing just that now with forward-thinking furniture and architectural features made of one of the most versatile yet familiar materials in the world: paper. 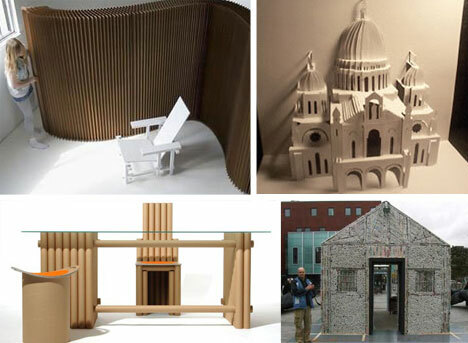 Most people think of paper as an incredibly weak and fragile material, these furniture designers, architects and artists have taken paper and cardboard to new levels by creating amazing structures from these simplest of materials. 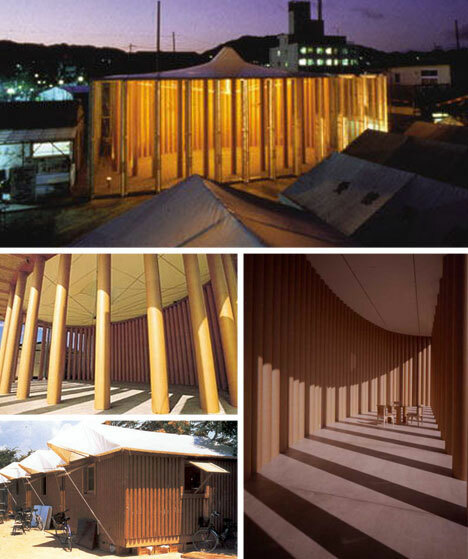 Renowned Japanese architect Shigeru Ban can be called a leader in the paper architecture movement.His paper and cardboard structures are known and loved around the world.Far from being flimsy or gimmicky, his structures provide real solutions in terms of cost, eco-friendliness, and portability. Ban’s buildings can be erected by amateurs with no heavy machinery, sometimes in a matter of just hours. His incredible ideas were put to use after the 1995 earthquake in Kobe, Japan to provide temporary homes and churches to displaced residents. Not ready for an entire building made of paper?How about just an office?Robert Buss and Ute Conen of Push Design proudly introduced the world to the “disposable office,” a tiny office setup made entirely of recyclable paper products.The office setup was on display in the Max Planck Institute in 2004 and now enjoys a life of internet notoriety. After your paper office furniture has been installed, you can build on the paper office theme with paper softwall room dividers. 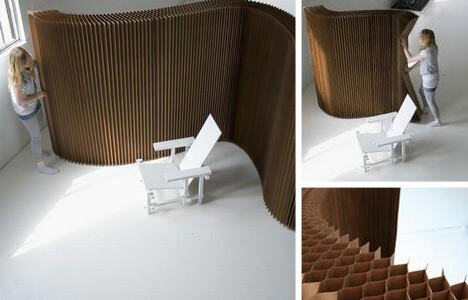 Unlike traditional cubicle walls, paper softwalls are easy to take down and move whenever the need arises. If you need the office to be big and open for a client’s visit or if you need to clean your apartment, just fold up the lightweight partition and move it out of the way. Paper structures are not only used for their aesthetic appeal or ease of movement; they have also been utilized for short-term emergency situations. Like Shigeru Ban’s post-earthquake shelters, these structures in Rwanda (also designed by Shigeru Ban) were erected to address a housing shortage. In 1994, civil war in Rwanda displaced millions of citizens. 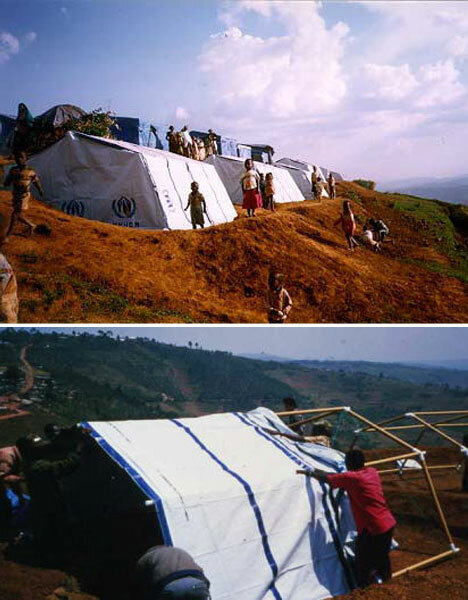 The United Nations supplied refugees with emergency shelters consisting of plastic sheets and paper tube supports. Sometimes, paper structures can even be used to send a message. UK artist Sumer Erek was disgusted at the amount of wasted paper he saw on the streets of London, so he decided to make an art piece to illustrate just how wasteful we are. 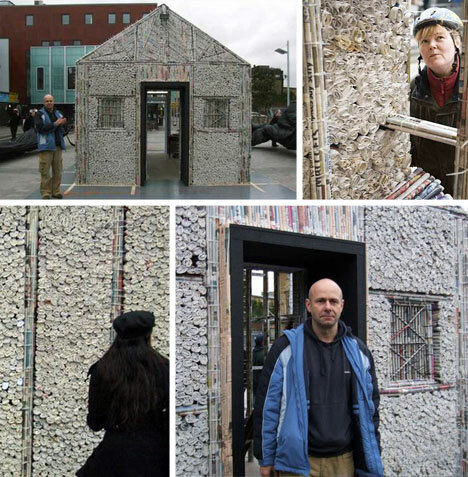 The result was a collaborative project which many people took part in and which culminated in the unveiling of The Newspaper House, made entirely of discarded newspapers. If you’re interested in experimenting with paper structures on your own, you don’t have to be an artist or an architect. In fact, all you need is some shipping boxes and tape. 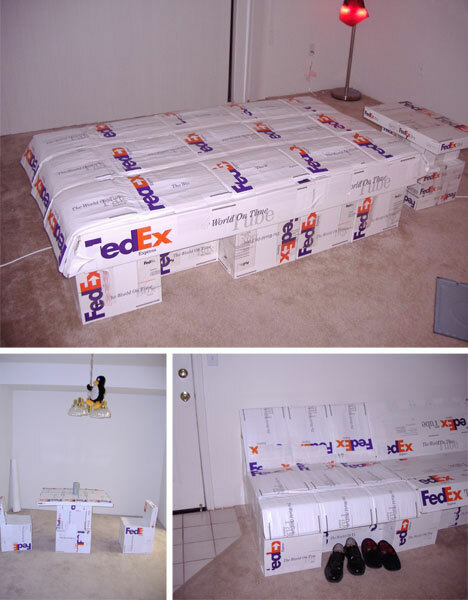 One enterprising young man furnished his entire apartment with furniture made out of FedEx shipping boxes and tape. 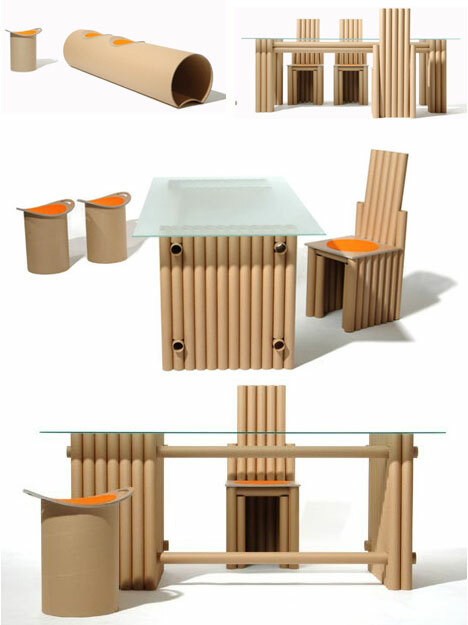 Fire hazard or not, you can’t get much more affordable than furniture constructed from cardboard boxes. 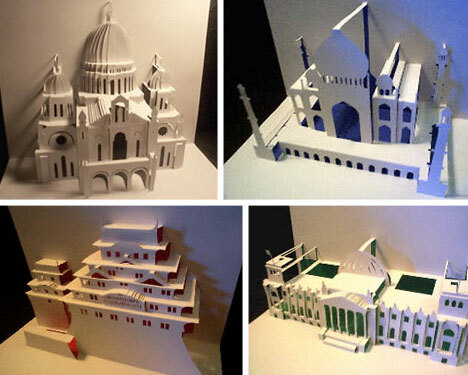 On a much smaller scale, origamic architecture is the amazing art of creating pseudo-buildings from paper. A Tokyo professor first developed this strange variation on traditional ideas of origami. Since his initial work with a simple blade-and-ruler a number of people have taken up the task and created their own versions of origamic architecture – from realistic building to abstract Escheresque shapes.